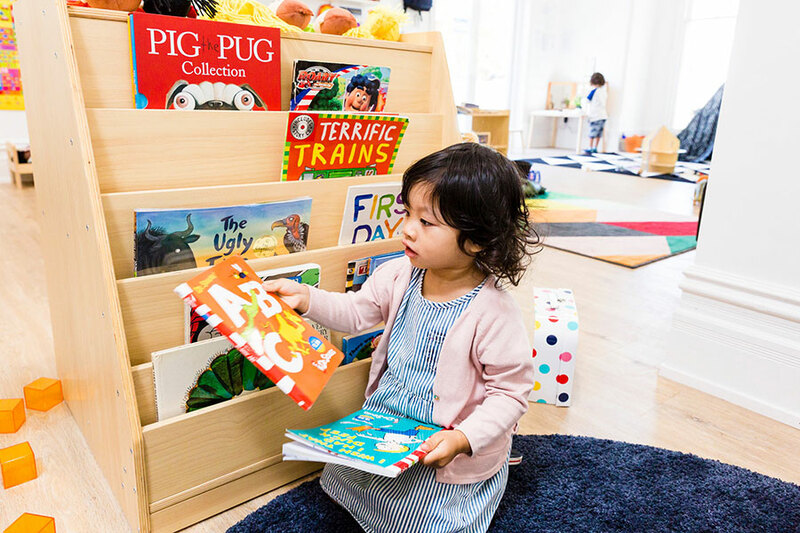 We believe children are unique individuals who develop at their own rate, and by providing meaningful and realistic learning opportunities, children will explore, create, discover, and imagine. Children participate in activities that allow them to develop practical skills including cooking, sewing, sweeping, washing up, gardening, fixing problems, tying shoes, dressing themselves and helping others. These activities aim create a sense of self-worth and achievement, confidence, muscular control and hand-eye coordination. Sensory learning is essential in our program as children learn more by touching, seeing, smelling, tasting and exploration. The interior and exterior of the classroom is full of activities that stimulate the senses. From herb gardens, sand and water play to materials of different length, weight, texture, colour and sound, sensory learning is essential for the child to start to understand how everything them works. Children are given the opportunity to learn about different cultures and countries around the world. The materials we provide the children include maps, globes, puzzles and experiments that promote exploration. We give children the opportunity to learn the sounds and words of other languages including German, French and Mandarin. We encourage families of all cultural backgrounds to share their traditions and experience with the preschool community. Our program incorporates story time and music with movement where children indirectly learn rhyming and phonics. The materials we use encourage the child to enhance their vocabulary, learn the shapes and sounds of letters and increase muscular control for writing. We cannot highlight enough the importance for children to be exposed to great books and stories and our literacy program aims to instill a love of reading. We introduce children to the meaning of numbers using materials. Children will be indirectly exposed to the concepts of addition and subtraction. Music and movement is used to facilitate an introduction to numeracy. Children are taught through role playing and modelling, the skills required to build awareness, respect, responsiveness and compassion to others. We emphasize the use of manners and respect for all things living. In each of our 2, 3, 4 and 5 year old programs there is ‘Reggio Emilia’ project exploration. This is where children are grouped based on their interests and are given the opportunity to choose what they would like to do and then are encouraged to work cooperatively on a project. This project encourages exploration, creativity, cooperation, listening and language skills. It is vital for children to understand at an early age how the body works and why it is so important to look after it. We explore the makeup of the human body through play based activities and assist them in understanding about how healthy food choices and physical activity contribute to being a healthy person. The equipment we use promotes all the fundamental movement skills a preschooler should develop such as balance, hand eye coordination, gross motor skills and body awareness. We absolutely love Leaps & Bounds Preschool Highgate and would recommend it to anyone looking for childcare. This is our daughters 3rd daycare & sons 2nd and by far the best we have seen and experienced. The transition went so smoothly with the staff and on the first few days our children got to spend with each other so they always felt safe which meant a lot for us as parents. Our son is more settled than he ever was at his previous day-care and each morning it is such a calm and welcoming environment for the both of them. Drop off’s have never been so easy & it is such a joy to see the kids so settled and happy. They always talk about their friends & teachers when they get home and look forward to going again each day. There is nothing to fault about Leaps & Bounds and we could not recommend a better place for anyone to send their kids.